As we begin to move closer to the start of the season, many of our 2011 print materials have either been produced or are in the process of being produced. In some cases, this is a quick and simple process, with a few changes from year to year. In other cases, this means a complete re-design. The final product that reaches the fan is the result of many months of brainstorming, design, corrections, and numerous proofreading sessions. Heading into our second season we are fortunate enough to have a great database of photos from the 2010 season. The Tigers official team photographer Kevin Pataky did a tremendous job of chronicling the season and provided us with all of the action shots we will be using in print materials this year. 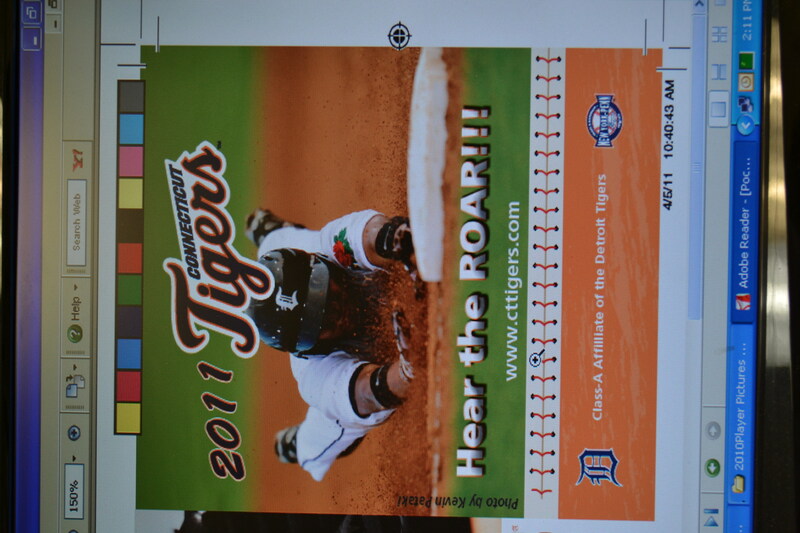 You may have also seen his work in the 2010 Connecticut Tigers team card set. Every picture used was taken by Kevin. You can see his work used on milb.com frequently, as he travels quite a bit within the northeast covering numerous levels and sports. 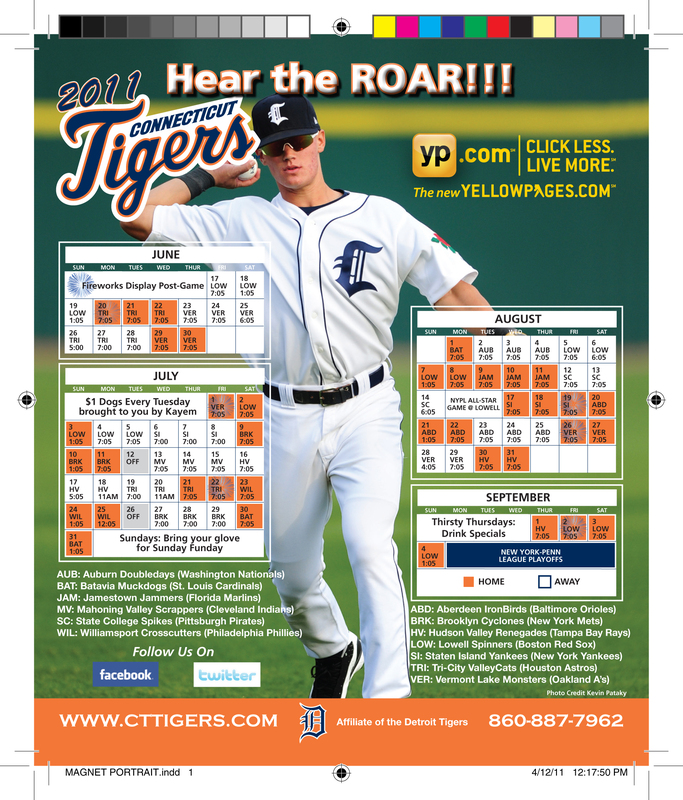 The magnet schedule is just one example of the items we have or will be printing. Already in-hand are the 2011 marketing brochure and group ticket brochure. The 2011 game program will go to production in early June once we receive our roster of players (and have a chance to photograph them). 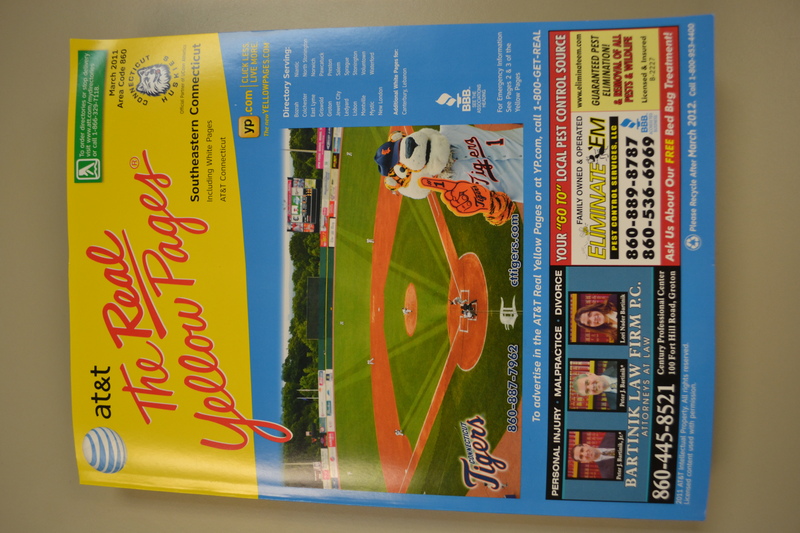 There will be a few great changes to the game program for 2011 that fans will really appreciate. SIDE NOTE: The winner of the 2011 CT Tigers front office NCAA basketball tournament bracket challenge was Director of Community Relations and Promotions Dave Schermerhorn, who was the only loyal Connecticut resident to pick UConn to win the National Championship! Dave narrowly beat out Group Sales Account Executive (and on-field emcee) Shane McKenzie to take home the grand prize of a $25 gift certificate to Stott’s At Bat. If you haven’t checked out Stott’s for breakfast, lunch, or dinner we highly recommend it! Great people and even better food.